So the Karachi Literature Festival (KLF) is over. Three jam-packed days devoted to writing, to literature and to everything else in between. A festival not just of books, but of thoughts and ideas, with the space for diverse opinions to be held and expressed, and respected by all. I would have to say that this year’s festival, the fourth, was the most mature and powerful it has ever been. This festival has really come into its own, from its first time at the Carlton Hotel. This year’s festival was held at the Beach Luxury Hotel, which revitalised and renenergised the festival, and provided a spectacular backdrop against the creek and the dramatic mangrove swamps, which revealed their bones at low tide and then hid themselves like a mysterious bride when the water rose at noon. There was an almighty thunderstorm the first day which sent people scrambling indoors, rained out the main garden, and sent the children’s tent crashing down. But the next two days were sunny and warm, and thousands of people crowded into the lawns to enjoy themselves, listen to panels, buy books, eat from the concession stands, get autographs signed, take pictures, watch the seagulls fight for bread over the shimmering creek. A little bit of background info: the idea for the Karachi Literature Festival had been conceived by the lovely Sabeen Mahmud of Peace Niche, and then Ameena Saiyid of Oxford University Press (OUP) and the British Council took the idea and turned it into a reality. Sabeen and Zaheer Kidvai had envisioned a more grass-roots festival, to take place at The Second Floor and other cooperating venues if possible. 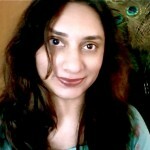 But Ameena Saiyid quickly realised that the idea had such potential, it needed to be developed on a much bigger platform, with the cooperation of an international organisation – the British Council – to bring international attention and possibly funding for the project. Sabeen and Zaheer gracefully bowed out and let the professionals take over, and the rest, as they say, is history. This year’s panels were much more intense, and the focus of this year’s festival was very political. Even the panels about books were political. There was a bigger focus on non-fiction than fiction, but the presence of Pakistani literary heavyweights Mohsin Hamid, Nadeem Aslam (who both have new novels to promote), Kamila Shamsie, and Mohammed Hanif satisfied those who had come to learn about fiction. And when a gentleman insisted that we speak in Urdu, I greeted the audience in Urdu, Sindhi, and Gujarati, to show that Karachi is a city of diversity. For me that was the most powerful time on stage. I noticed a lot of negative comments bandied about on Twitter about the festival, about its sponsors, its agenda, and its participants. 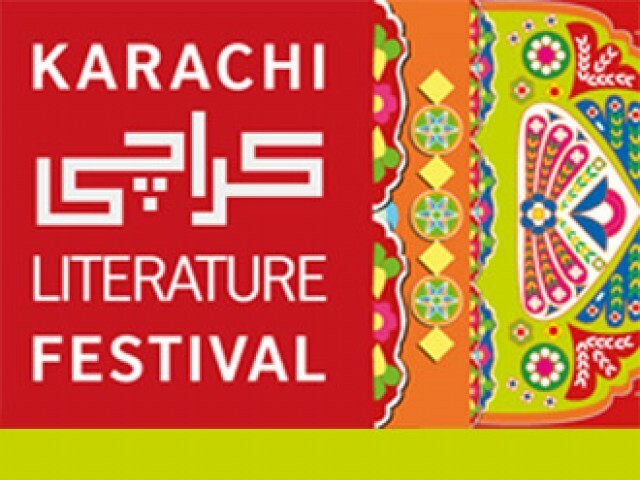 This is a shame, because the Karachi Literature Festival is one thing we have in Karachi that works, and works really well. Not only does it work, but it promotes a very positive image of Pakistan in the eyes of the world. Every single person from abroad who had come to the festival went away completely blown away by the level of intellectual discussion, by the warmth and hospitality of Karachi, by the beauty of the city. If you don’t like the festival, run your own festival and then let’s see what you think. We Pakistanis don’t realise that it takes a year of hard work to put this festival together but only a few offhand tweets or comments to tear it down. Yet again we show how small-minded, jealous, and complexed we are about something that is truly a positive experience. But first, stand in the gardens of the Beach Luxury and see the hundreds of schoolchildren lined up for the art session or the puppet show, or hear them squealing as they chase writers with autograph books and cameras, and then tell me this festival should not take place. What I learned from this year’s festival was that it was fine to have differing ideas and viewpoints, but that we must discuss them in an atmosphere of tolerance and respect. Otherwise, you might as well just pick up a gun or plant a bomb and kill the other person so their ideas can’t be heard. And we had just that on Saturday evening, with the bomb in Quetta that killed so many Hazara Shias. The impact of that explosion was felt very strongly at the Karachi Literature Festival the next day. I mentioned it at my panel to launch the Critical Muslim series, Raza Rumi held a minute of silence at his panel in the afternoon on Sunday, and Ameena Saiyid also held a minute of silence at the closing ceremony in the evening. We ache for our Baloch brothers and sisters, our Hazara brothers and sisters, our Shia brothers and sisters who are being slowly and systematically wiped off the map of Pakistan, just as Israel has done to our brothers and sisters in Palestine. So in conclusion, I would say the fourth Karachi Literature Festival was a huge success. May it be even better next year, may it be protected from the jealousy – the nazar (evil eye) and hassad (malice) – of its detractors, may it continue to be a place where books and literature and ideas and art are celebrated. And may the sun continue to shine and the children continue to smile as they chase their favourite writers with autograph books and cameras, instead of learning to murder each other with guns and bombs. I attended all three days for the first time, on the insistence of my friend…..and I thank her for her insisting. You said it correctly the festival was a blast, to organise something on that scale and pull it off with clockwork efficiency, must be admired and commended. Sounds like a really great festival. Also good to know that it passed off without any mishap. IT is more such events that can help build a city or country’s soft image internationally. Even more importantly if people start valuing books more than guns, hopefully there will be less terror attacks. The festival was a great success and covered almost all literary areas. This was well attended. Hope the 5th one shall also be a successful one. Hmm, and people say Pakistanis are obsessed with India. For someone who doesn’t care (or shouldn’t care), you care an awful lot mate. Try contributing something NOT soaked in disdain for once. How about some sunshine for a change? Or silence maybe? Make love, not war. Ciao. Thank you for a wonderful piece, Bina, and it was lovely to have you participate in KLF 2013.